We've been adding all kinds of new and fun features here on The Perfect Palette! Search by color to explore the many ways to bring your wedding to life through color. 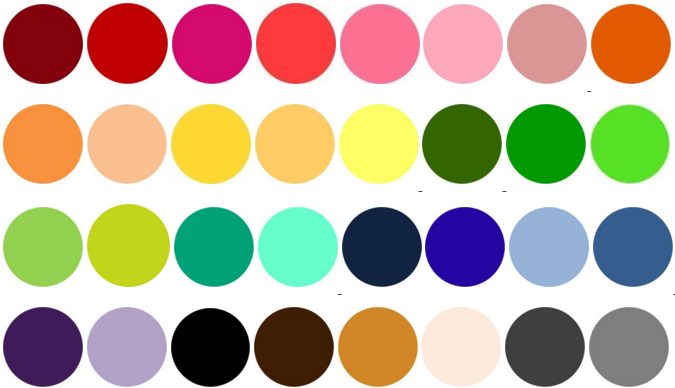 See the tab at the top of this page that says Colors ➳ Well, that's where you can go to easily access our color palette! You've always been able to search by color on The Perfect Palette, but now it's so much easier! Check it out! Please, be sure to stop by weekly because we'll be adding to our palette! Yep, new colors and shades will be added from time to time so be sure to make any requests that you have! I'd love to know what colors you're dying to see? 1 One Comment " The Perfect Palette: Colors! " What fun! I clicked on peach...and saw all the gorgeous palette options complete with inspiration boards. Great feature!